When children feel that their teachers understand their unique talents and motivations, they are much more likely to love school and excel in their academic subjects. A conversation with Nitai Deranja, co-founder of the Living Wisdom Schools. 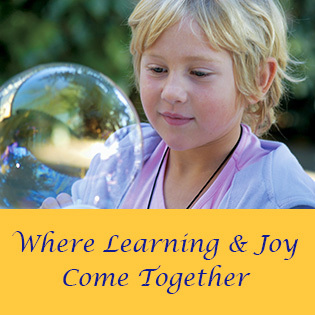 Q: Parents who visit the Living Wisdom Schools often question the schools’ philosophy. They’re naturally concerned that their children receive a first-class education. But they often aren’t aware of the powerful connections between academic success and a child’s feelings, particularly during the years from 6 to 12. Parents are often concerned that time spent on feelings is wasted, and would be better devoted to academics. Nitai: The traditional image of a teacher is that he or she will come into the classroom prepared with a good lesson plan. But the risk in adhering too rigidly to a plan is that the teacher will overlook the reality of the individual child—the child’s unique abilities, needs, motivations, and the daily fluctuations of his or her mind and heart. A good teacher will, of course, have a solid lesson plan, but their first concern will be to get to know each child, and to be able to relate appropriately to their realities. When a teacher can do that, it’s a wonderful boon for the children, because it gives them a sense that the teacher understands their worth and their abilities. It’s an experience that most kids aren’t getting today at school. They’re treated as cogs in the school machinery—as just one more anonymous child swimming in the great ocean of students. The tragedy is that the kids start to identify with being a cog in the system. Whereas if a talented teacher is acknowledging their reality, what we see is that the child comes alive and wants to learn because somebody is investing the time and energy to value and encourage them where they are. LWS fourth and fifth-grade teacher Craig Kellogg helps Tima negotiate the complicated process of finding his costume and being in the right place at the right time before a dress rehearsal of the school play. My forty years as a teacher have convinced me that this is the indispensable foundation of academic excellence, because at that point you can do amazing things with the kids and the curriculum. It’s why I’m encouraging this quality more strongly than ever in my workshops for teachers. It’s a skill that you can develop endlessly. As adults, we know that when we’re communicating at work or talking with friends, we need to be able to set our own mental buzz aside and understand where they are. Q: Is it a skill that you look for in the teachers you hire? When she looked at the kids she saw that they were chomping very contentedly on their pacifiers. Noticing an extra pacifier lying on a table, she picked it up and put it in her mouth and sat on the floor with these two little babies. (laughs) She reported that the kids suddenly stopped what they were doing and looked up at her and got big smiles on their faces, and one of the kids came over and gave her a big hug. It was a powerful demonstration of how beautifully this principle works at all ages. 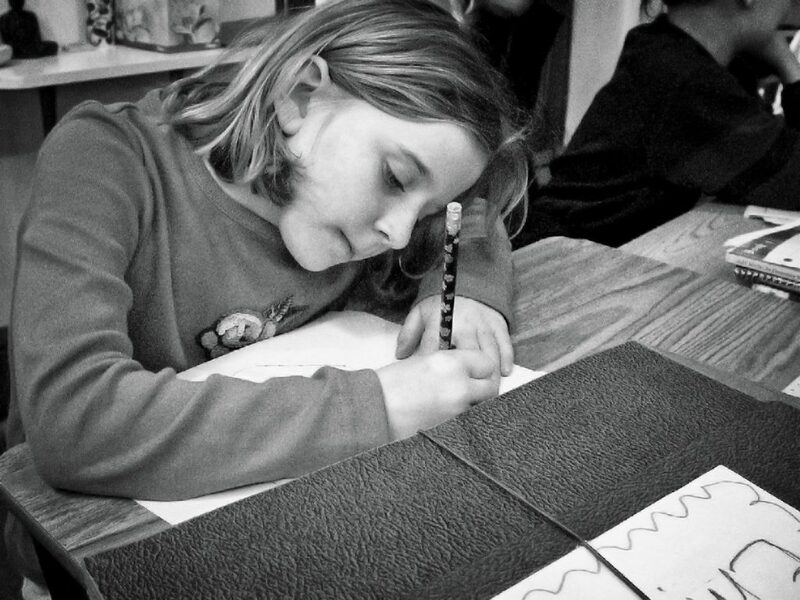 How can you expect to teach children effectively, if you can’t get on their wavelength? He went over to the table and nudged the boy on the shoulder. The kid started giggling, and finally he picked up his head and they ended up doing some math together. Stefan said it was remarkable how willing the kid was to work on his math when he realized that the teacher could get on his wavelength and sympathize. During the years from 6 to 12, the classroom should be a place of adventure—it should be a combination of theater, science laboratory and space ship. The classroom at that age should be an enclosed reality that you can turn into just about anything, to draw the kids into the feeling side of the learning experience. When a teacher at our school wanted to introduce the kids to the science of the rainforest, he turned the classroom into a tropical jungle. There were so many plants and trees in the room that you had to brush the branches aside to get through the door. The point is that you aren’t just reading about the rainforest in a book, you’re having an experience of the rainforest. It’s a prop, you might say, that helps the kids feel what the rainforest is like. And the end result is that because they can feel it, they begin to care for it, and to be interested in learning about it. The Palo Alto Living Wisdom School puts on an amazing Theater Magic play every year, where every child in the school takes part. All of the kids get completely involved in the self-contained world of the play. If the play is about Joan of Arc, or Martin Luther King, Jr., or the Dalai Lama, or Buddha, or Kwan Yin, or Abraham Lincoln, or Krishna, they’re deeply studying the history and customs of the times, while they’re acting out the lives of these great figures. Most of the kids are picking up each others’ lines as well as their own, and it’s hugely motivating for the kids because their feelings are fully engaged. And, again, the result is that they’re absolutely lapping up the academic side of the experience. 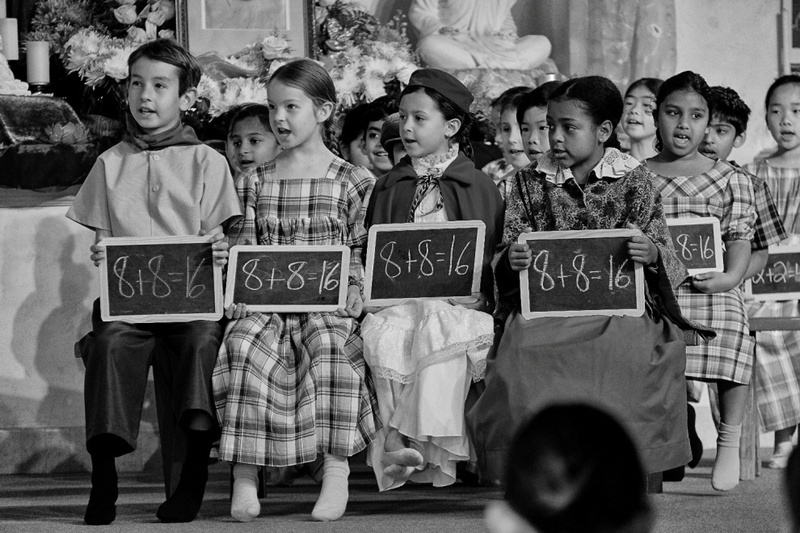 First-graders sing a song during a dress rehearsal for The Life of Abraham Lincoln. In our science classes, we approach the curriculum in the same spirit, where you’re playing the role of a scientist, and you’re doing real-world experiments as you learn. It’s a pretend world, which is appropriate for children at that age, when their imagination and feelings are at their peak and you’re building the curriculum on that very powerful force. When I co-taught fifth-grade, we introduced the kids to the Ramayana, one of the world’s great teaching epics. It’s chock-full of deeply absorbing adventures that carry moral lessons in a very convincing way. We introduced the book by reading some of the stories to the kids. They quickly became interested, and we started acting out the stories. We made a quilt on themes of the Ramayana, and this great saga became a central part of their lives for the semester. For three or four months, you would come into the classroom and find yourself in the world of this great teaching epic from India. You were in an altered reality, and not just a bare and sterile classroom. 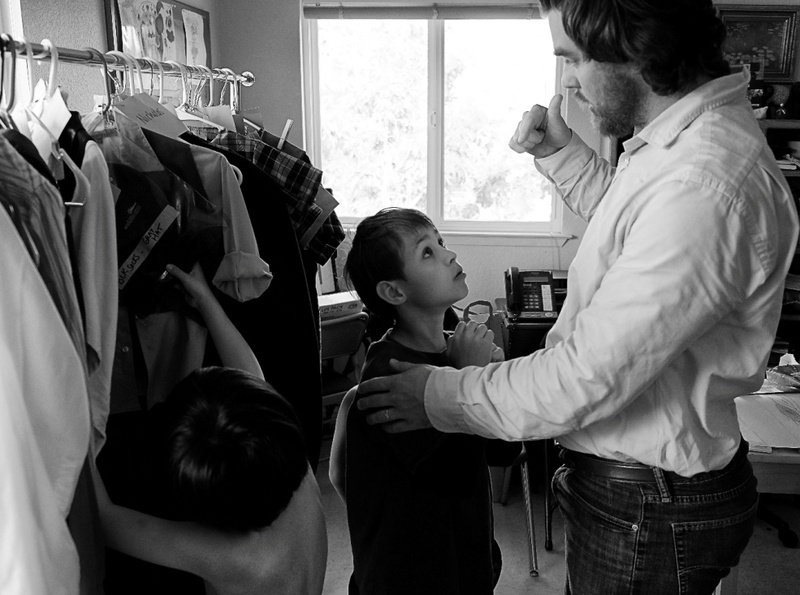 It’s an approach to learning that catches the kids’ attention very powerfully at this age. They absolutely love it when there’s a story involved, whether it’s a story about math, science, history, literature, or the arts—because they want to experience life, and they have a highly developed sense of adventure, but they aren’t old enough yet to go out and experience real life for themselves. The teacher’s job is to scale it down so they can experience it in stories and theater and music and painting, because they can’t go to an actual rainforest. After they leave the Feeling Years, they enter the adolescent years from 12 to 18. Few people understand that this is the time when you can take them out of the classroom and get them engaged in doing real-life things. It’s no longer a time for studying things only in books; it’s a time to introduce them to real life by giving them their own adventures. In our school, we’ve gone to Mexico where we worked at an orphanage, and we’ve gone to India where we met the Dalai Lama. Each of the six-year stages of a child’s development has its own unique methods for capturing the children’s enthusiasm and interests at that age, and for bringing it into the curriculum. Q: You’ve given examples from Pre-K to middle school and beyond, and a child’s feelings seem to be important at every stage, when it comes to finding ways to get them excited about learning. If I understand what you’re saying, it’s that the teacher needs to get to know them, and find out what they’re interested in, and make use of their own natural wellsprings of energy and enthusiasm to help them move forward in their academic studies. When you challenge children at the upper level of their ability, they become happily engaged. Nitai: That’s exactly it. When I began teaching, I was very intrigued by a document that Paramhansa Yogananda developed for a school that he had started in India. He called it the Psychological Chart. It was a way to help you find out, among other things, what the student’s deepest motivations are. I’ve been working with it, adapting it for a document that we plan to call the Student Portrait. It was a bit confusing at first to try to figure out how to use it, because it covers so many facets of a child’s character. But the point is that when children come into the classroom, you need to look at the key elements of their lives—their family life, their character, their response to being disciplined, and so on—there are twelve categories in all that you can look at, with lots of fine detail. And the insights of the parents can be a great aid in helping you understand the child. Yogananda used an interesting word: “salient.” You look for the salient characteristic of the child—what is the core motivator in that child? And then you can use that as a leading quality to help you work with them. It might be something that’s coming from the child’s life outside of school, or it might be some special quality of the child’s own nature. There was a boy in one of my classes who was extremely competitive. It was the boy’s salient quality, and I always had to take it into account or else it would get out of hand and cause a disruption. But if I accounted for it, we were able to find a way to make school work really well for him. To keep it fresh in his mind, I would walk out to PE with him and talk about competition, and what it means to win and lose. Because otherwise he would go out and be completely focused on winning. Final number from The Life of Abraham Lincoln. One of my kids who’s now a young adult has a job as a chef at a famous yoga retreat. In high school, the only salient quality I could find that truly captured his interest was food. He was pretty much oblivious of everything else, but his eyes would light up the moment you mentioned food. So we were able to work with that quality to make school interesting and motivating and inspiring for him. 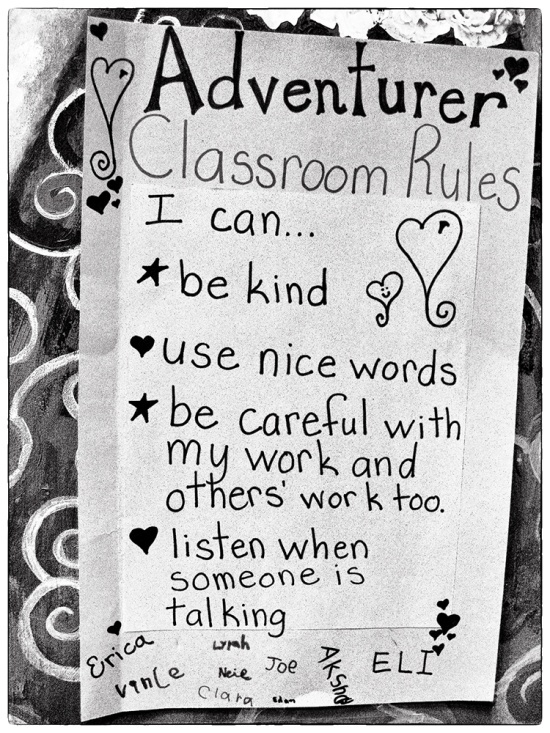 I find that you can use this approach to help almost any child. Sometimes the salient quality will shift—there will be a clear characteristic that will evolve into something a little different, perhaps because of events in the child’s life, or an inner transformation. But there’s usually one salient thing, and it gives you a very useful clue for zeroing-in on the child’s interests. 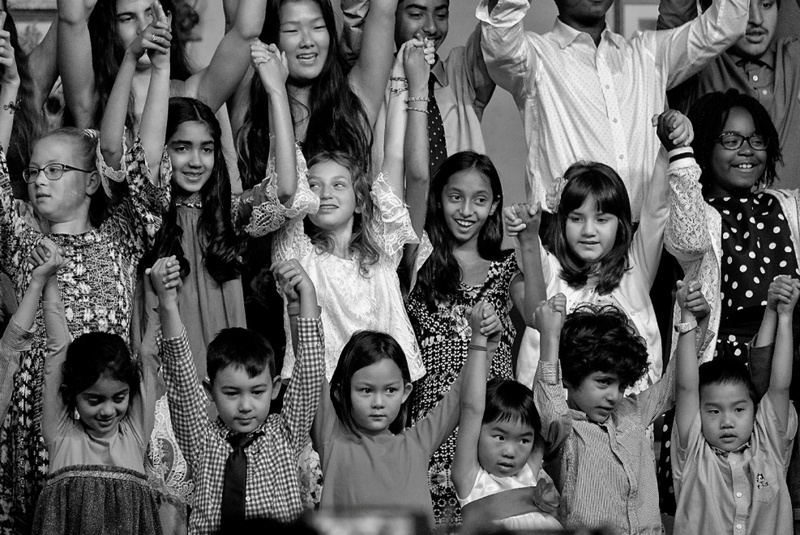 Knowing each child’s salient quality helps break any tendency to think of the kids as cogs in the machine, because every one of us is absolutely unique. Q: In an earlier chapter, “It’s Time We Started Raising Organic Children,” you quoted a New York Times article. The author lamented that kids today are praised for earning good grades, but they aren’t learning about grit and perseverance and enthusiasm, and how to get along with people, and other qualities that are crucial for success and happiness. We’ve all heard of people who didn’t have much formal education, but who were successful because of their drive, initiative, curiosity, and their heart’s enthusiasm, and their ability to get along with others. Nitai: Yes, and it’s wonderful that people in education today are starting to realize this. It’s related to the idea that kids need to be themselves, and that we need to do the things with them that are meant for kids, rather than force them to conform to the adult world all the time. So, yes, I completely agree. I scratch my head, because it’s hard to understand why people can’t see that. Even at the level of grades and test scores, the research tells us very clearly that happy kids perform better than stressed kids. And it seems so obvious. Why did we go the other way? Why did we imagine that by pushing and pressuring we would get more learning? Q: It seems like owning a car and not understanding how the car works so you can put the right fuel in it. Nitai: Yes. (laughs) It’s like putting gasoline in an electric engine because you don’t understand what it needs to function properly. Q: I read a book by two authors whose previous work I admired. In a chapter on education, they were ranting that all of this new stuff about feeling-based education is hogwash, and that the traditional ways of teaching are just fine. And never mind if kids today are exposed to violent video games, because they’re basically good kids and they won’t be affected. I was surprised, because I knew the authors to be courageous researchers and independent thinkers. But they were captured by this idea. And I realized that they were reacting to the kind of feeling-based education that is truly going in the wrong direction, where teachers latch onto the idea that feelings of all kinds are good. “It’s healthy for the kids to scream and shout and express their anger openly and not suppress it.” And it’s because they aren’t aware of the difference between raw emotions and refined feelings. They don’t understand that it’s essential to help kids learn to direct their emotions in ways that will support learning and help them thrive as human beings. Nitai: People tend to judge any movement on the basis of what’s happening at the fringe. The topics in our Education for Life approach to educating children are the topics of life and eternal truth, translated to the world of the child. They are the ideas that describe how life works at every level. There are endless ramifications to explore, and I’ve been blessed to be able to specialize in the particular application of those ideas in education. Q: There’s an idea that we know from the Education for Life book, that what all humans are seeking is to experience ever-increasing happiness and to avoid suffering. And when we can tap into that basic human drive at school, it seems to release a tremendous amount of energy in the children. Nitai: Yes, and it’s very unfortunate that the educational establishment tries to press kids into the same mold and ignores that very powerful natural drive to be happy. There are natural laws of how human life works. Those laws are a feature of a universe that is constructed for the purpose of helping souls learn to be happy and successful. And helping children to explore how this life works is tremendously important at all ages. Kids are always doing it anyway, and in some ways they’re better at it than we are, because as adults we tend to let our thinking processes get in the way. Children are constantly exploring life and experimenting. What will happen if I throw the ball over the bush? What will happen if I dance? What will happen if I eat this? And to be a teacher who can value that, and see it as a core feature of an ideal education, puts us in touch with how the process of education works, rather than just artificially trying to redirect behavior. I tell people, “You want to get into the child’s world.” And they’ll respond, “Well, I was over there with the kid and they weren’t really doing anything.” And I’ll say, “Go back.” (laughs) Because they were doing something—and maybe they just weren’t doing something that made sense to you, but they were doing something that made a lot of sense to them, and we need to try to tune into that. Q: When I talk to the teachers at Living Wisdom School, they say that if a child is doing art, for example, it can be harmful for an adult to rush up with their own ideas and say, “I really love that!” Or, “That looks like an airplane!” Because you’re imposing an idea on them that might not actually be the child’s own. The teachers told me that a more fruitful approach is to say, “Oh! You put so much blue in there!” And get them talking about what’s coming out of their world. Nitai: Exactly. 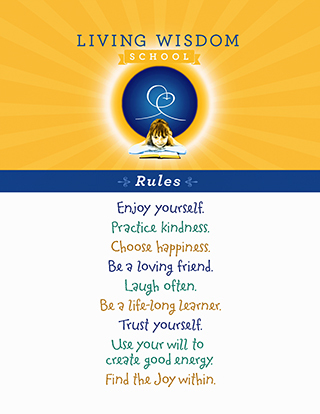 That’s what motivates me to try to keep spreading these methods as best I can, so that more and more five-year-olds can start their lives in harmony with these principles that will give them success and happiness in life, instead of having to learn them, perhaps painfully, a lot later.